(Almost) One years worth of cuddles! I am a lover of documenting moments in our lives. The beautiful, the messy, the posed, the candid, the hilarious, the teary, etc. Well. this miniseries of photos wasn’t planned. These are moments that are very much real in our lives. Our bed almost always has one, most of the time two kiddos in it by dawn. When the sun rises, Chaseyboy wakes from his own bed and comes to ours to snuggle. It’s a family ordeal. One that some nights require a lot of patience and less sleep than one should have, however I know this isn’t going to last forever… and to be honest, I love it. 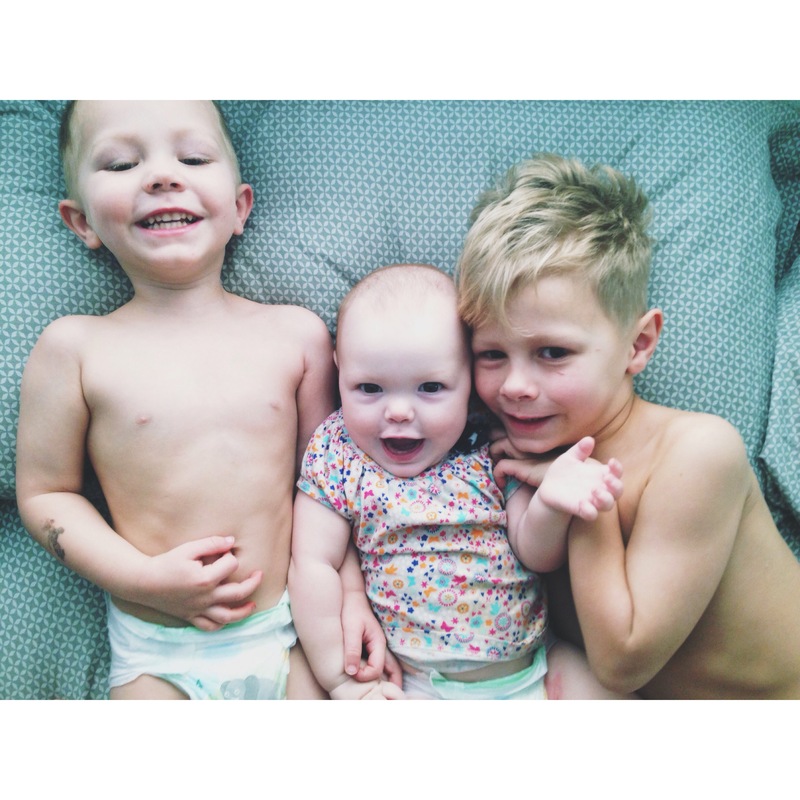 Below are pictures of the last (almost) year of morning cuddles with their sissy. I snapped one recently (the very last photo) and decided to look back because I remembered snapping others similar. I put them together and my heart “burst”. 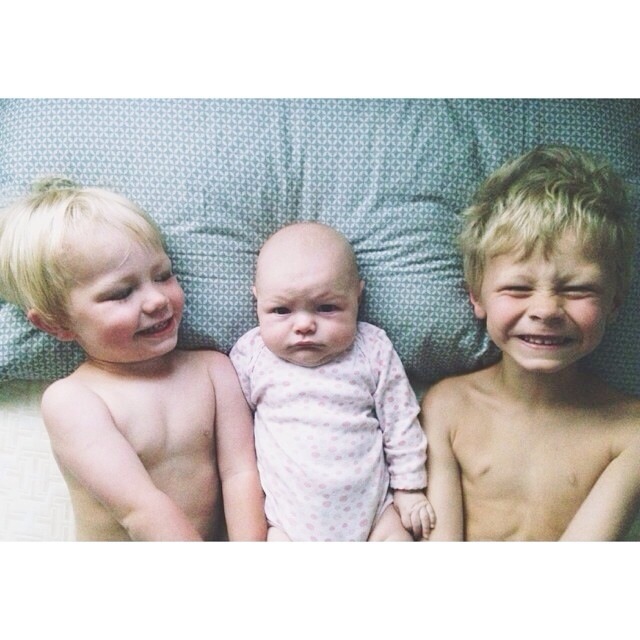 And yes, you bet I will make them do a similar pose when they are adults!